An easy no bake snack filled with indulgent chocolate and coconut flavors, but not loaded with sugar. 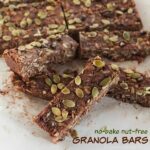 No-bake nut-free granola bars are filled with indulgent chocolate and coconut flavors, but not loaded with sugar. 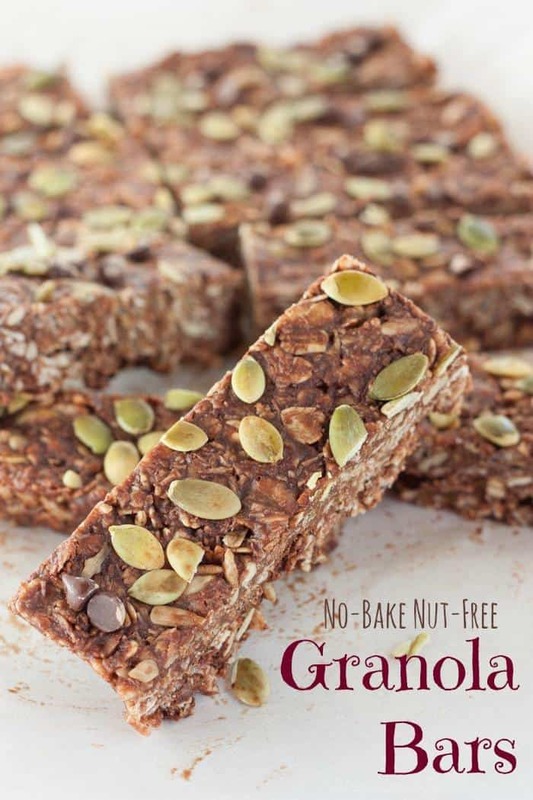 For healthy no-bake snacks your kids will love, and will love you for giving them, you need to make this healthy no-bake snack recipe from the cookbook, Sugar-free Mom: Naturally Sweet and Sugar-free Recipes for the Whole Family. 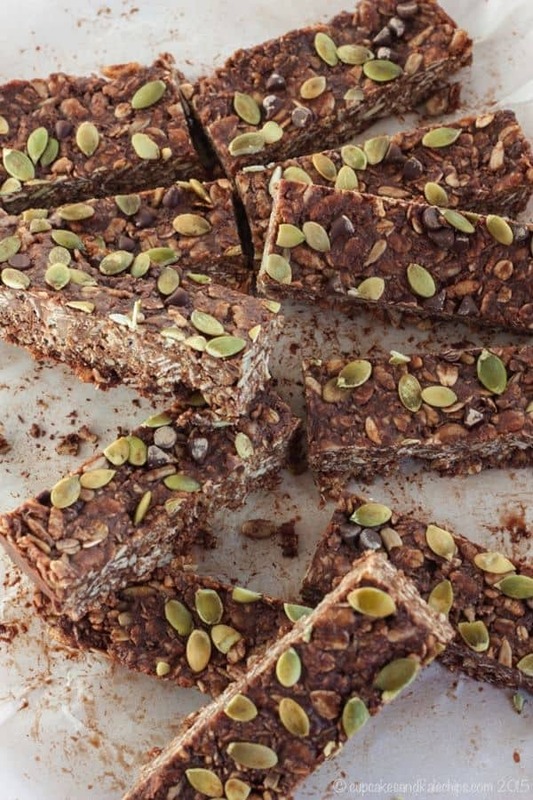 It doesn’t get easier than No-Bake Nut-Free Granola Bars. 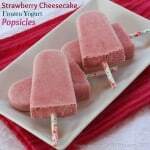 I had seen recipes from Sugar-Free Mom floating around Pinterest and Facebook and was always intrigued – I mean, I love my sweets, and to make desserts that look amazing without any sugar just seemed impossible to me. Then I met Brenda back in May, and first, let me tell you, she may have a sugar-free diet, but she is super sweet! And it was so fabulous to talk to her about how she has both reduced her sweet tooth and found ways to satisfy it and make treats for her kids (whom she homeschools – can you say “supermom”?) without using any processed sugar. Some of the sweeteners she uses contain unprocessed sugars, like real maple syrup or coconut sugar, but even those she limits, leaning more towards natural alternatives like stevia and erythritol. It was also fascinating to talk to her about her cookbook-writing process, and I knew when it came out, I’d have to get my hands on it. So when there was an opportunity to review it, I couldn’t resist. Now first disclaimer is that I have not gotten my hands on an actual hard copy yet – it got sent to my old house and I haven’t gotten it shipped here yet. But I’ve been paging through the electronic copy, and it is fabulous, from the recipes to the writing to the photos. 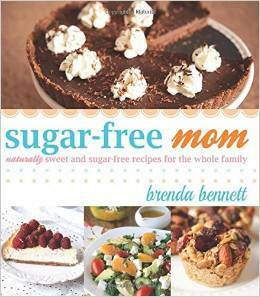 First Brenda tells us about her journey to becoming Sugar-free Mom (and mow mostly gluten-free, which I appreciate), and then she educates us on the ingredients that are commonly found in her pantry and recipes in order to keep sugar out of her diet. Then it’s on to the food! You guys, there are so many recipes in the cookbook I want to try. First, I love that she has created alternatives to sauces and condiments that you can buy that often contain added sugar and/or gluten. And her savory recipes all sound amazing. 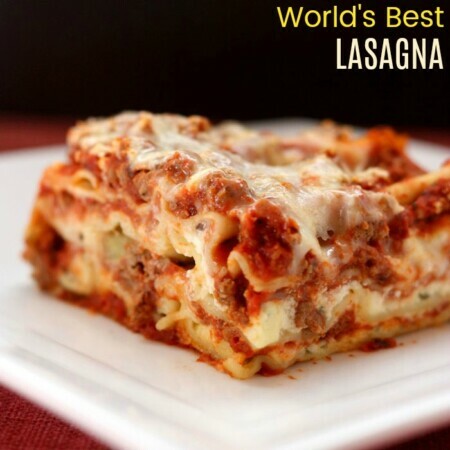 Mini Bacon Cheddar Quinoa Bites, Traditional Italian Bolognese Sauce, Baked Parmesan-Crusted Fish Sticks, and Oat Flour Pizza Dough are all high on my list to try. But I knew that first I had to try something sweet, just to get a start with sampling sugar free desserts. I could have dove right in with Fudgy Flourless Chocolate Brownies or Nut-Free Magic Bars, but I wanted to dip my toes in the shallow end. So I whipped up a quick loaf of Brenda’s gluten free banana bread (which, in short, is moist and tasty). And my boys needed their healthy snacks replenished, so I made the no-bake nut-free granola bars recipe. And they’ll be lucky if I end up sharing any No-Bake Nut-Free Granola Bars with them. I was just going to take a little nibble and ended up polishing off an entire bar. Seriously, if you have a candy bar craving, just eat one of these guys. In fact, I’m thinking that if you don’t have to worry about a nut allergy, using some slivered almonds would make it like a healthier Almond Joy. I’ll be honest, the bars do have a little of the stevia aftertaste. Part of that may be my fault, as I misread and bought liquid stevia, so didn’t have any packets or extract on hand. So I had to convert the amounts and am hoping I didn’t add too much, but it definitely did not end up too sweet. And the other part of it is that I think some people don’t notice the flavor of the stevia and some people do. I’m one of those that does pick up on the taste of it. But honestly, the flavors and textures are so good that I’d be happy munching away on these and just having a glass of water afterwards. Especially knowing that I reduced my sugar intake and still had a fabulous and satisfying treat that was super easy to whip up. My other disclaimer is that I did not have sugar free chocolate chips, so I cut it to one tablespoon and used regular mini chips. 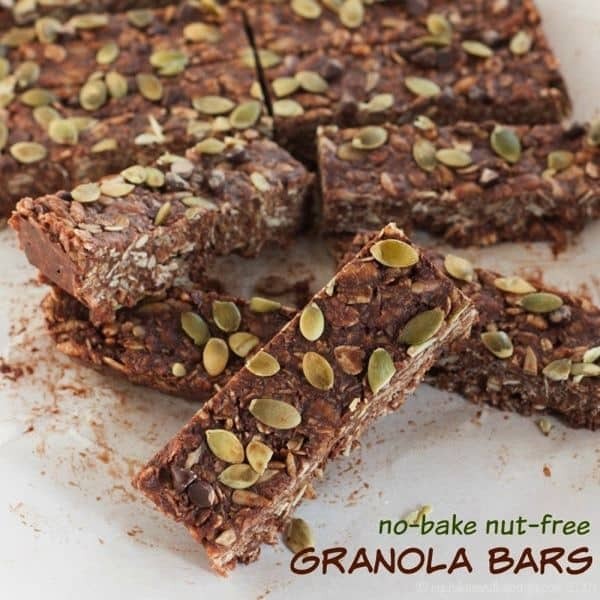 I hope you have a chance to try the no-bake nut-free granola bars recipe. Have you ever tried making sugar-free sweets? 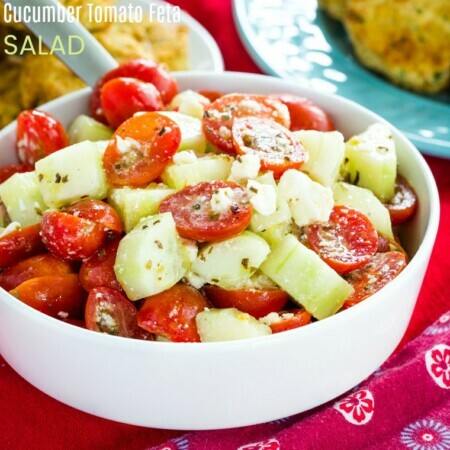 Combine the first 7 ingredients together in a large bowl. 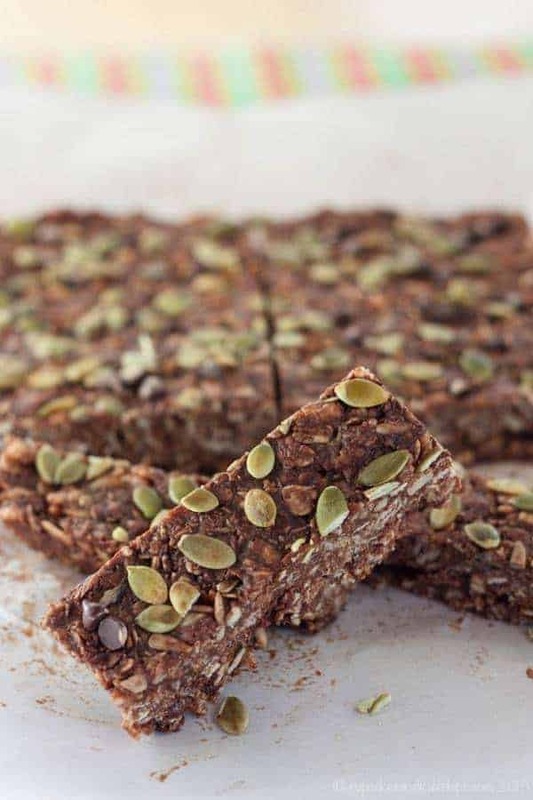 Add 1 tablespoon pumpkin seeds and 1 tablespoon chocolate chips. Save the rest for topping the bars. Combine coconut butter, honey, coconut oil, and vanilla extract, and melt together in the microwave for 1 minute or over the stove on low heat until melted and stirred to combine. Pour wet ingredients into dry and combine well. Line an 8 × 8 baking dish with parchment paper that extends over the sides for easy grasping to remove later. Spray or grease the parchment. Spread mixture onto the parchment paper and level with a spatula. Sprinkle remaining pumpkin seeds and chocolate chips over the top and press into mixture. 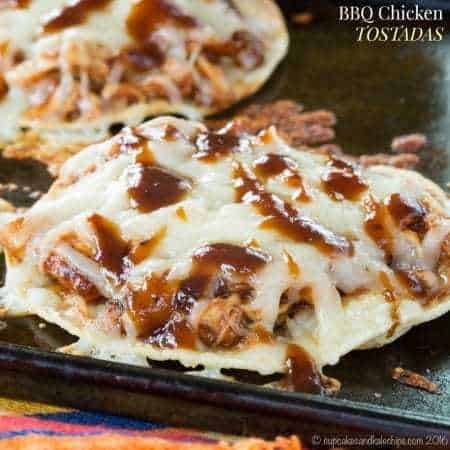 Refrigerate 30 minutes and then remove by holding the ends of the parchment paper and place onto a cutting board to slice. They do not need to be kept refrigerated. Wrap individually for packing/storing. Good for up to 1 week. I love it when I can make something delicious and I don’t even have to bake. 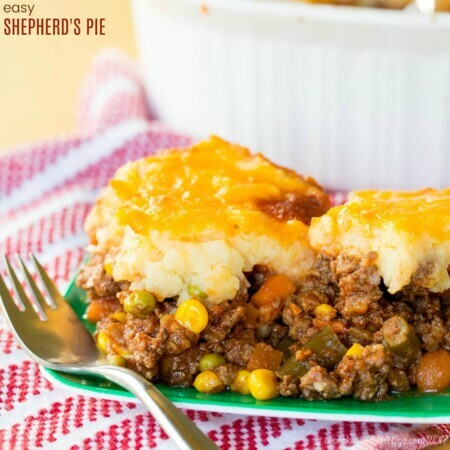 I’ve been trying to post more recipes like this on my site because well… I’m kinda lazy. I have made some sugar-free sweets. Just a few though. I want to try these bars! Might use xylitol in place of stevia, which I may be allergic to. The taste is amazing, so give them a try! Technically it is, I suppose, but allergies to coconuts are not nearly as common as the usual tree nuts. Many people with nut allergies can still have coconut. i came across your recipe as I was looking for ‘Nut Free’ granola bar recipes and yours came up but you have ‘coconut’ listed as an ingredient. I have an allergy to all nuts and that includes coconut. So to say that people with a nut allergy can tolerate a bit of coconut is a incorrect and misleading as well I find your post to be like false advertising. I am sorry for that, but not all people with nut allergies also have a coconut allergy as they are separate things (a coconut is not actually a nut). This recipe was developed my by friend and is from her cookbook, and her son has a nut allergy, but not coconut. I also have a good friend who has a coconut allergy but has no nut allergies. So these are a good snack for those that just have a nut allergy. I made a double batch of these today. They were really good! My only issue was they weren’t really holding together that well. Mine seemed drier looking. Hmm, not sure, maybe it depends how much moisture the oats absorb. Thank you Brianne for the wonderful review of my book!!! Your pics look great! 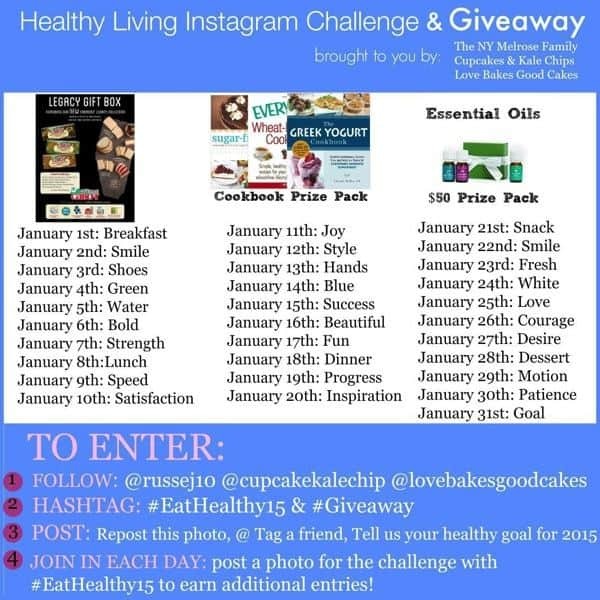 So happy you enjoyed the recipes!!! Thanks again! I am definitely looking forward to trying more of them! And the boys are devouring the banana bread! Yum! 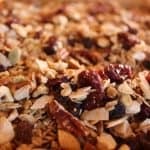 I love having granola bars (I’m a huge fans of rolled oats) for snacking and this is one perfect recipe to try. 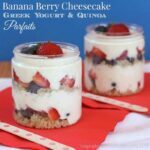 It definitely satisfies sweets cravings in a healthier way! 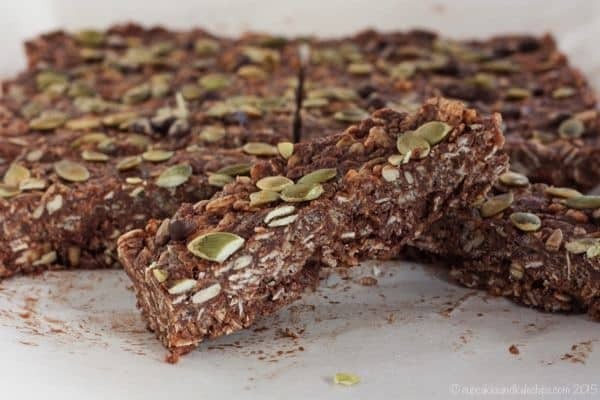 No-bake granola bars are my JAM! PINNED. Aren’t they the best! So many ways to change them up! They do have some natural sugar from the brown rice syrup or creamed honey, but nothing refined.